The Arkansas SDC website provides a variety of Census data, both past and present, of interest to Arkansans. The State Data Center Program was established in 1978 to create a lead agency in each state to act as the chief source of census data in both print and machine-readable formats. 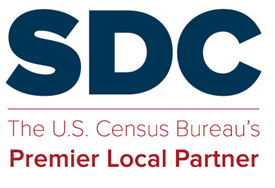 Acting through a network of affiliate state agencies, universities, libraries, and regional and local governments, SDC has become one of the Census Bureau's most successful partners in making census information available to the public. Since its inception, SDC has worked diligently to incorporate state of the art technology into how the public receives and accesses census data. Significant changes in data collection, dissemination, and analysis, pioneered by the Census Bureau, have been incorporated into the operation of its state networks. Initially State Data Centers were the primary points for public access to census data. Much of the data from the 1980 Census was available only in machine-readable formats and released to the data centers via tape and microfiche without a specific request, on a first, free, and automatic basis. Centers were then able to process large census files and create value-added products that gavelocal governments and general data users better access to census information. In the 1990s, CD-ROM technology eliminated the need to process tapes and data became more readily available on the Internet. Even with greater public access, there remains the need to advise and train data users on the appropriate use and interpretation of data. 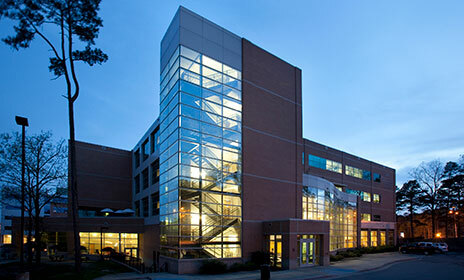 Data centers have the specialized expertise required to assist users with processing data and have successfully expanded the capabilities of the Census Bureau to respond to public inquiries. To assist the US Census Bureau with providing and disseminating accurate, timely and accessible census information and training to the public. To act as the US Census Bureau's premier local partner by delivering accurate and timely information, preparing and providing training and assistance, and encouraging a productive dialogue with the bureau on data usability, data user needs and operational issues. Pam Willrodt is originally from Salinas, California. She earned a BS in Business Administration from California Lutheran University and Master's degree in Health Advocacy from Sarah Lawrence College. Pam earned her PhD in Applied Demography from University of Texas at San Antonio. She has traveled extensively in the US and abroad, working as a Health Educator in Guyana, South America and VISTA volunteer in Charleston, South Carolina, where she designed a health literacy program still in use today. Alison Wright started working at AEDI after graduating from Texas A&M with a Master's degree in Statistics. She enjoys looking at numbers and spends most of her day playing with data. Alison is an Arkansan by birth and loves helping people learn more about our state. Kevin Koonce is a GIS Analysis with AEDI, from Morrilton, AR. He graduated from the University of Central Arkansas in 2000 with a BS in Geography and minored in Sociology. Kevin has nearly 20 years of GIS work experience, 12 of those years at AEDI. Deano Traywick is a GIS Analyst with AEDI where he creates informative graphics by using and analyzing census and economic data. He has worked in the Geospatial Technologies field for over 12 years, after earning a degree in Geography, and has applied his knowledge and analytical thinking in the areas of soils, precision agriculture, water quality, transportation, and economic development. Deano has worked with Remote Sensing, GPS, various external sensors, and drones in his quest for new geospatial applications. Currently, Deano is the Chair of the Arkansas GIS Users Forum and enjoys getting outdoors whenever he can.